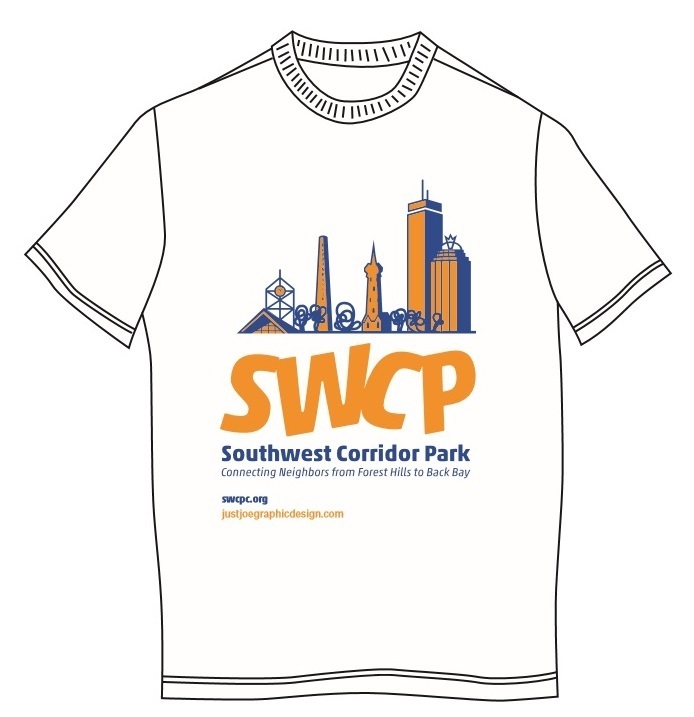 As an outgrowth of the mini-grant initiative, PMAC, with the Southwest Corridor Park Conservancy, designed and printed t-shirts for youth programs participants, along with some additional t-shirts for adult volunteers. 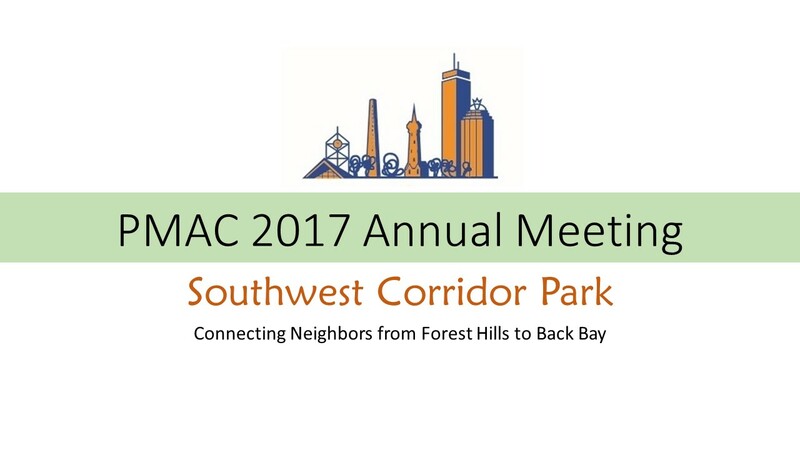 PMAC volunteer Blake Snell worked with Just Joe Graphics, to contribute three different designs, communicating the diverse ways people experience the park, with the motto "Connecting neighbors from Forest Hills to Back Bay." 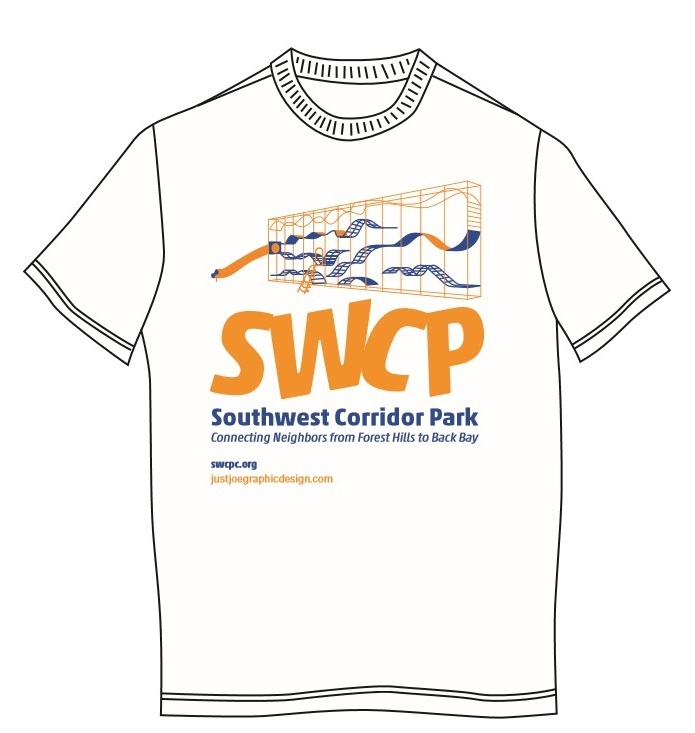 So far, the t-shirts are having the desired goal of prompting conversation and awareness of the park. 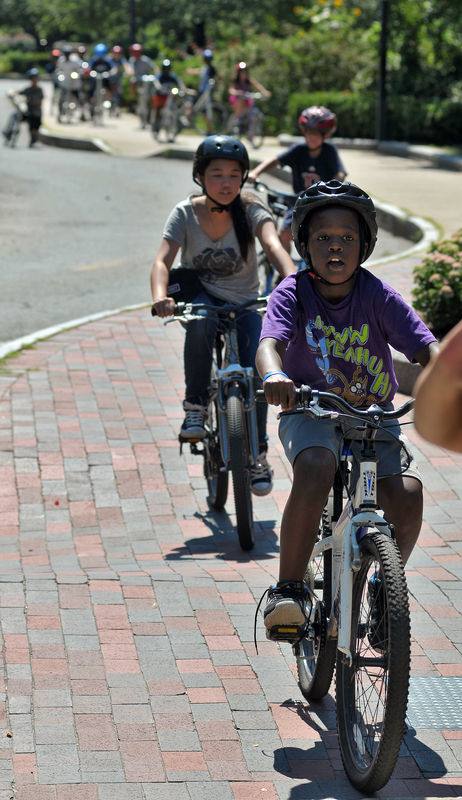 For example, children from the USES Children's Art Center program wore their new t-shirts while on a scavenger hunt in the Southwest Corridor Park, with many neighbors noticing and appreciating the shirts and the connection with the park. 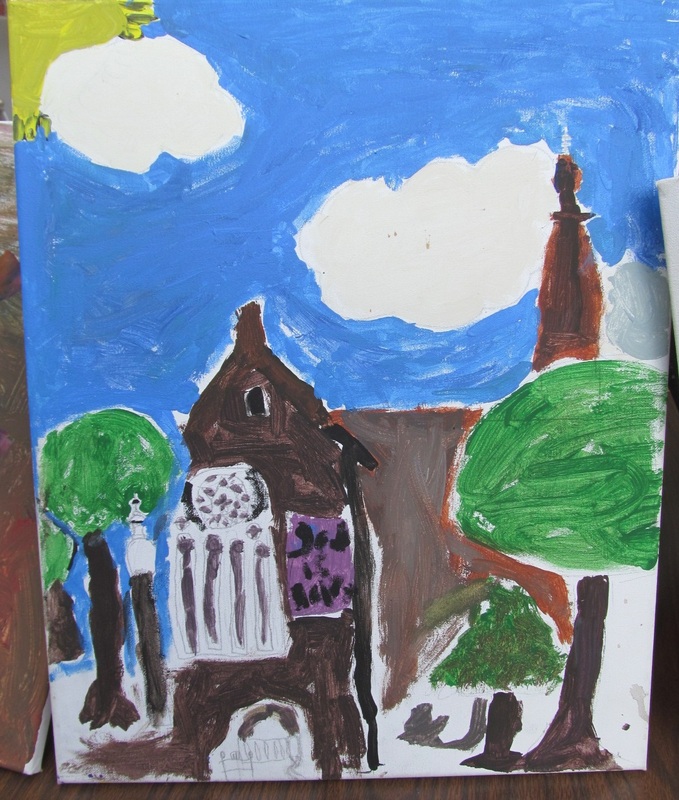 Children who gardened in the children's garden at Bromley Heath proudly wore their new t-shirts and talked about what they knew about the Southwest Corridor Park. 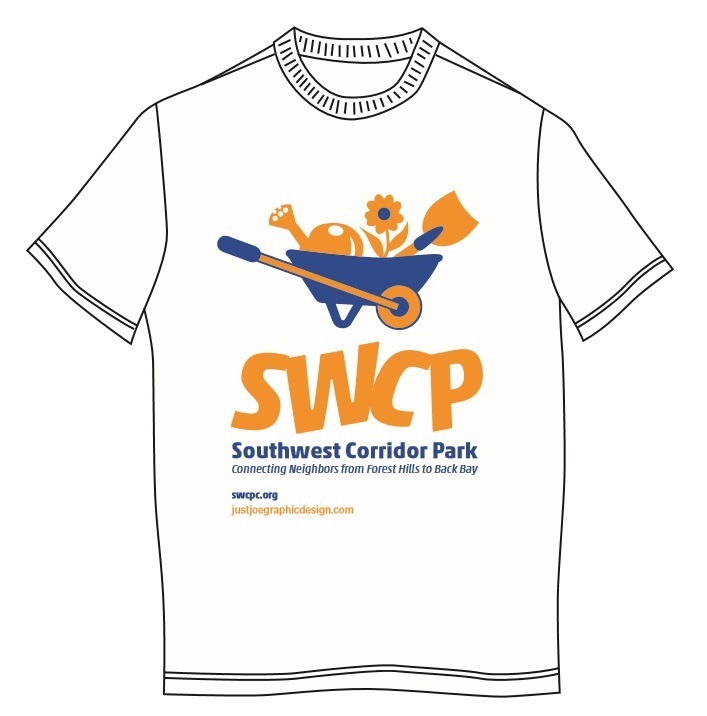 Southwest Corridor Park Conservancy volunteers are receiving t-shirts, as well, as we meet up on garden days. 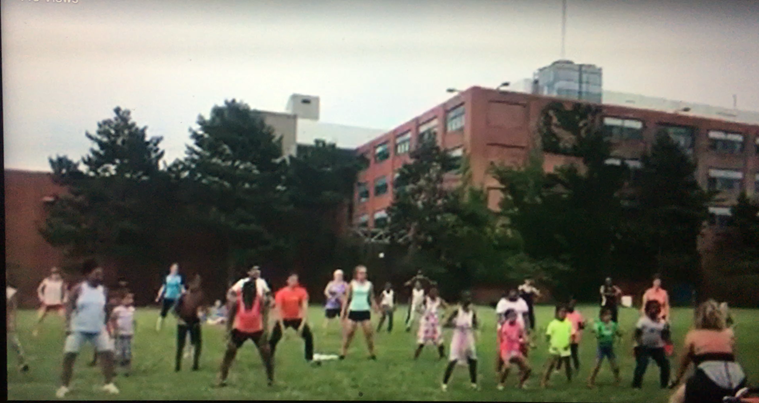 Zumba-with-the-police, sponsored by Tree of Life/Arbol De Vida, with BPD E-13. 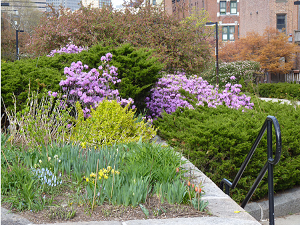 One of the best-known features of the Southwest Corridor Park is the array of gardens maintained by volunteers. 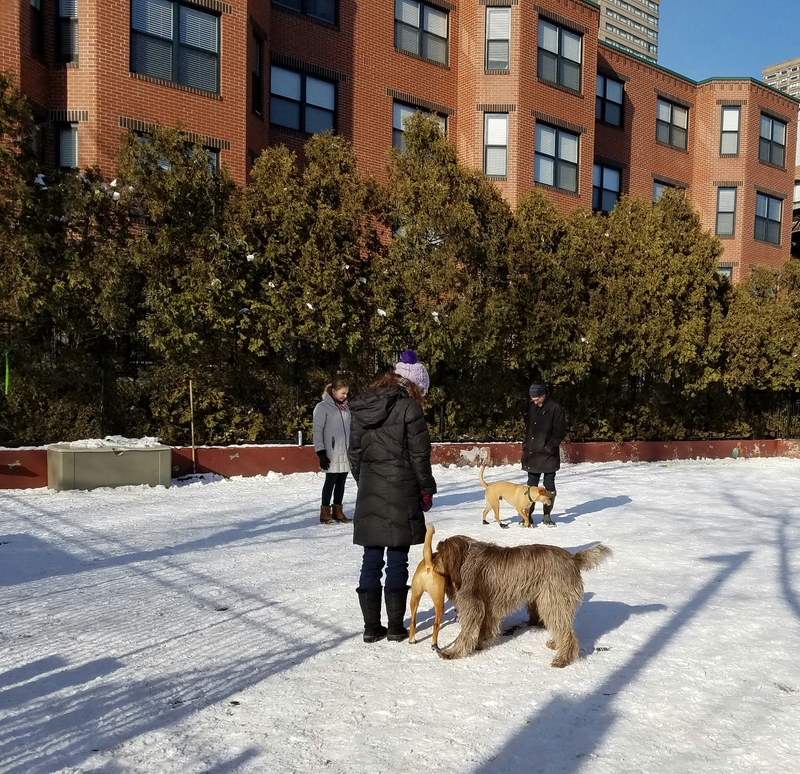 In partnership with DCR, the Southwest Corridor Park Conservancy coordinates a network of park stewards who maintain specific gardens within the park and a series of volunteers days for larger park projects. Volunteers come from the neighborhoods (South End/Back Bay, JP, Jackson Sq.) 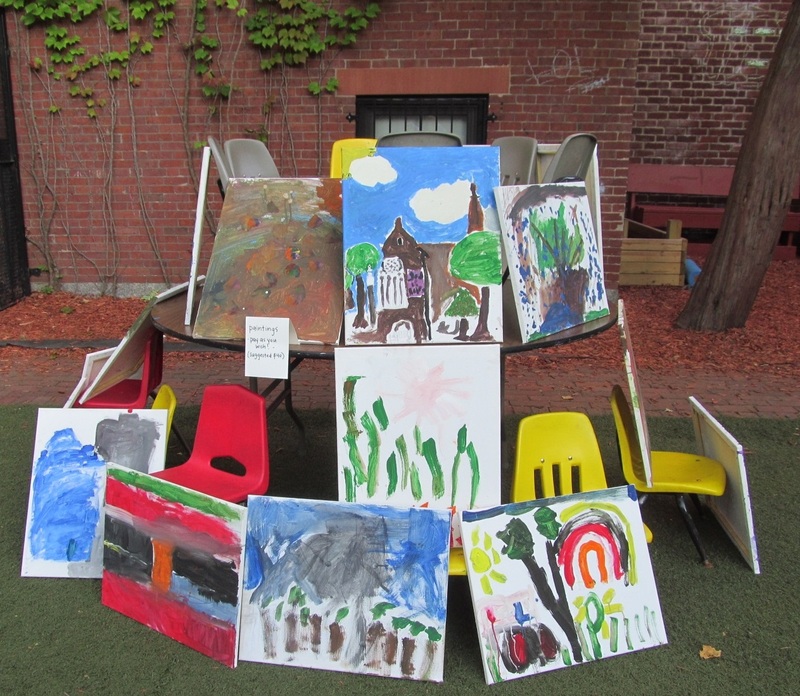 and from BostonCares, Northeastern University and many corporate groups. 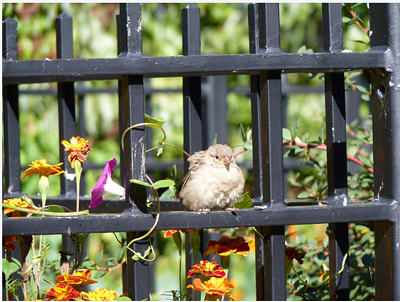 A highlight this summer: while the nearby Christian Science Church is repairing and restoring the Christian Science Plaza, they donated perennials from their gardens to the Southwest Corridor Park Conservancy. 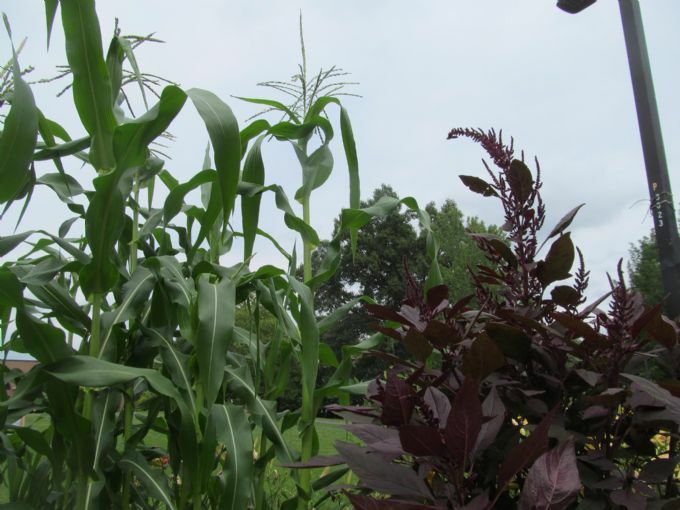 One Saturday morning in July, the neighborhood was dotted with gardeners and wheelbarrows full of plants, transporting plants to the park. 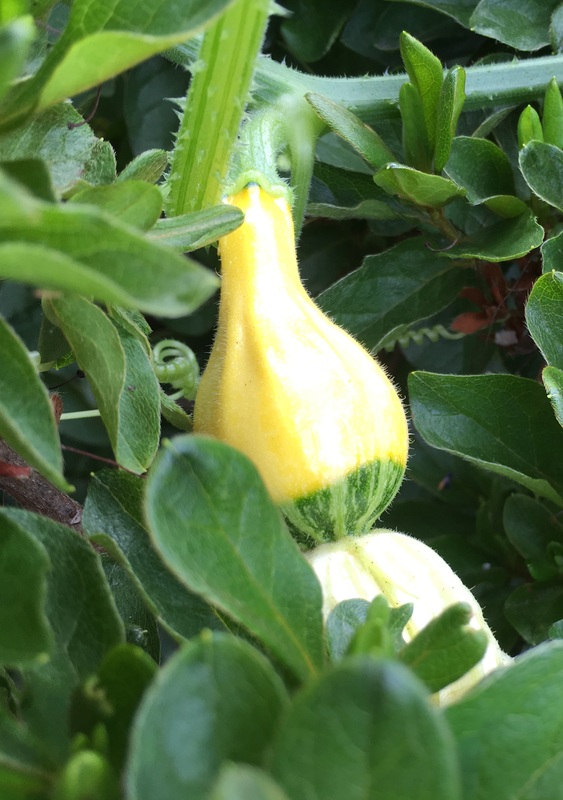 These plants are now found in gardens around the park, as very welcome additions to the landscape. What do you have to gripe about?! Along the route of the Southwest Corridor. 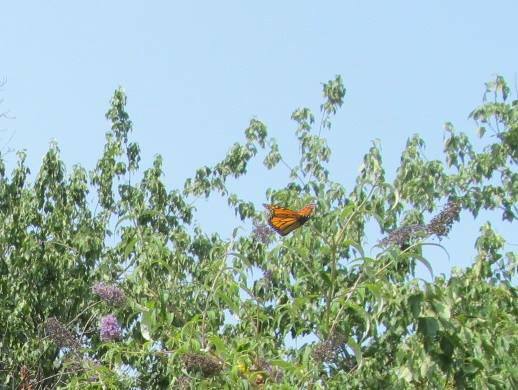 All this along the Southwest Corridor. Here a dog, there a dog, some big, some small - what more? 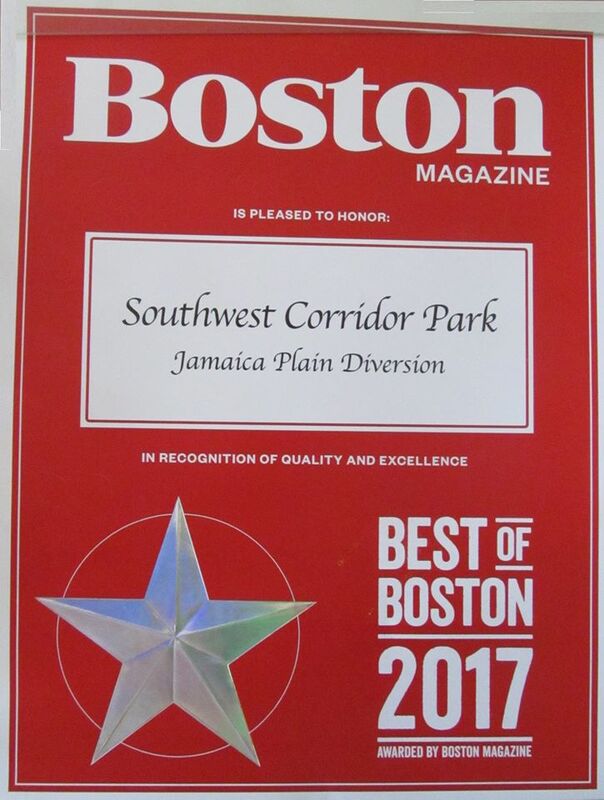 With laughs, giggles by the score . . . .
Curtis Mitchell shared this poem with a SWCP volunteer, sharing also that he is currently homeless and considers the Southwest Corridor Park a favorite place to be. As much as Bostonians often gripe about city living, this poem is a thoughtful "hymn" to the neighborliness found within the park.